Madame Tussauds (UK , US ; the family themselves pronounce it ) is a wax museum in London with branches in a number of major cities. It was founded by wax sculptor Marie Tussaud and was formerly known as "Madame Tussaud's"; the apostrophe is no longer used. 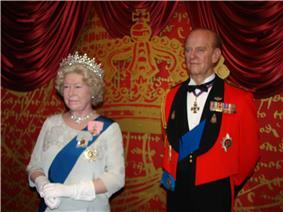 Madame Tussauds is a major tourist attraction in London, displaying waxworks. Tussaud created her first wax sculpture, of Voltaire, in 1777. Other famous people she modelled at that time include Jean-Jacques Rousseau and Benjamin Franklin. During the French Revolution she modelled many prominent victims. In her memoirs she claims that she would search through corpses to find the severed heads of executed citizens, from which she would make death masks. Her death masks were held up as revolutionary flags and paraded through the streets of Paris. Following the doctor's death in 1794, she inherited his vast collection of wax models and spent the next 33 years travelling around Europe. 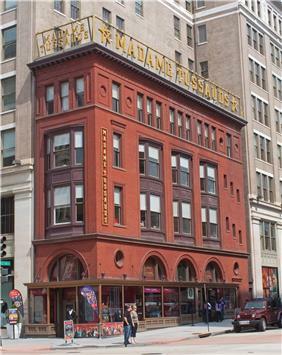 She married to Francois Tussaud in 1795 lent a new name to the show: Madame Tussaud's. In 1802 she went to London, having accepted an invitation from Paul Philidor, a magic lantern and phantasmagoria pioneer, to exhibit her work alongside his show at the Lyceum Theatre, London. She did not fare particularly well financially, with Philidor taking half of her profits. As a result of the Napoleonic Wars, she was unable to return to France, so she traveled throughout Great Britain and Ireland exhibiting her collection. From 1831 she took a series of short leases on the upper floor of "Baker Street Bazaar" (on the west side of Baker Street, Dorset Street and King Street), which later featured in the Druce-Portland case sequence of trials of 1898–1907. This became Tussaud's first permanent home in 1836. One of the main attractions of her museum was the Chamber of Horrors . 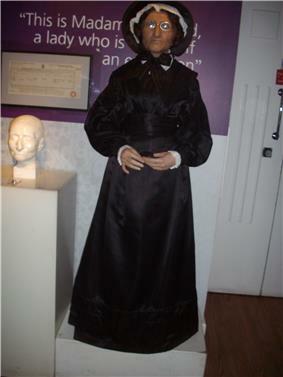 By 1835 Marie had settled down in Baker Street, London, and opened a museum. This part of the exhibition included victims of the French Revolution and newly created figures of murderers and other criminals. The name is often credited to a contributor to Punch in 1845, but Marie appears to have originated it herself, using it in advertising as early as 1843. 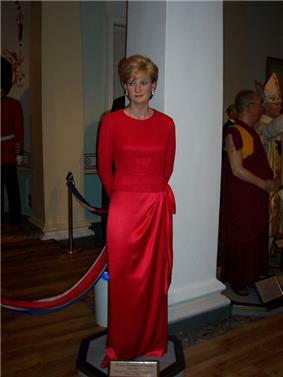 Other famous people were added to the exhibition, including self portrait which is now on display at the entrance of her museum. She died in her sleep on 15 April 1850. By 1883 the restricted space and rising cost of the Baker Street site prompted her grandson (Joseph Randall) to commission the building at its current location on Marylebone Road. The new exhibition galleries were opened on 14 July 1884 and were a great success. However, the building costs, falling so soon after buying out his cousin Louisa's half share in the business in 1881, meant the business was under-funded. A limited company was formed in 1888 to attract fresh capital but had to be dissolved after disagreements between the family shareholders, and in February 1889 Tussaud's was sold to a group of businessmen led by Edwin Josiah Poyser. Edward White, an artist dismissed by the new owners to save money, allegedly sent a parcel bomb to John Theodore Tussaud in June 1889 in revenge. The first sculpture of a young Winston Churchill was made in 1908, with a total of ten made since. 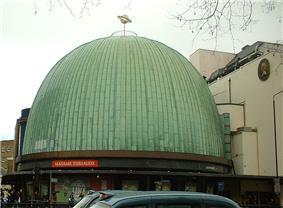 Madame Tussaud's wax museum has now grown to become a major tourist attraction in London, incorporating (until 2010) the London Planetarium in its west wing. It has expanded and will expand with branches in Amsterdam, Bangkok, Beijing, Berlin, Blackpool, Hollywood, Hong Kong, Las Vegas, New York City, Niagara Falls (Canada), Orlando, Prague, San Francisco, Shanghai, Singapore, Sydney, Vienna, Washington, D.C., Wuhan, Tokyo and a temporary museum in Busan (Korea). 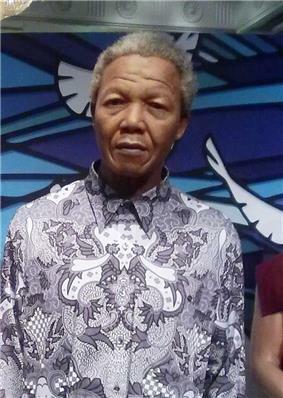 Today's wax figures at Tussauds include historical and royal figures, film stars, sports stars and famous murderers. Known as "Madame Tussauds" museums (no apostrophe), they are owned by a leisure company called Merlin Entertainments, following the acquisition of The Tussauds Group in May 2007. 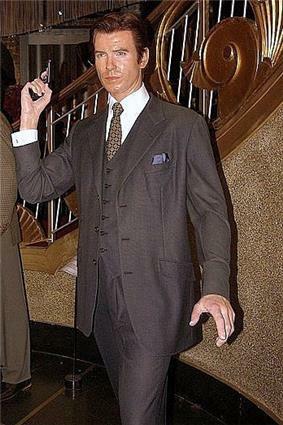 In July 2008, Madame Tussauds' Berlin branch became embroiled in controversy when a 41-year-old German man brushed past two guards and decapitated a wax figure depicting Adolf Hitler. This was believed to be an act of protest against showing the ruthless dictator alongside sports heroes, movie stars, and other historical figures. However, the statue has since been repaired and the perpetrator has admitted he attacked the statue to win a bet. The original model of Hitler, unveiled in Madame Tussauds London in April 1933 was frequently vandalised and a replacement in 1936 had to be carefully guarded. American singer Nicki Minaj's statue at Las Vegas museum was provided extra security following an act of vandalism in which a fan of her took some 'inappropriate' photos in June 2015. Madame Tussauds is the focus of Steve Taylor's song "Meltdown (at Madame Tussauds)" in which the song talks about someone turning up the thermostat and causing the wax figures to melt. The Doctor Who serial Spearhead from Space features a scene at Madame Tussauds. 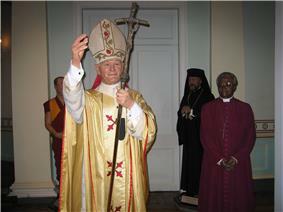 Tussauds appeared in an episode of Living TV's paranormal programme Most Haunted. The museum was featured on the History Channel's series, Life After People: The Series. Several sculptures from the London branch appear in the music video "Pop!ular" by singer/songwriter Darren Hayes. Many times the celebrities pose like their wax figures as pranks and publicity stunts. 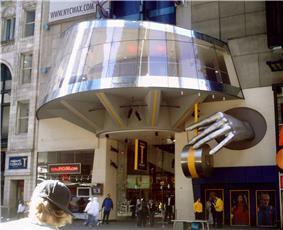 On 3 November 2009, the museum's New York City branch was featured in a segment on NBC's The Today Show in which weatherman Al Roker posed in place of his lifelike wax figure for two hours and startled unsuspecting visitors, who were at first led to believe they were viewing Roker's wax counterpart. In 2010, Ozzy Osbourne did similarly in New York to promote his Scream album. In 2012, One Direction posed as their statues in the London museum as a prank for Surprise Surprise. National Basketball Association players Carmelo Anthony and Jeremy Lin pranked fans during the unveiling of their statues at the New York and San Francisco museums, respectively. In 2015, Arnold Schwarzenegger posed as the Terminator statue in the Hollywood museum to promote a charity event. 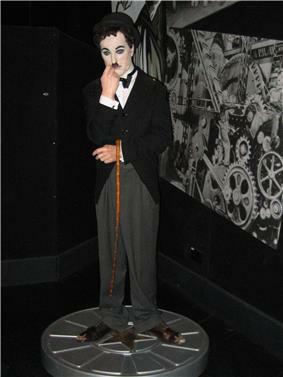 Madame Tussauds features in the film Shanghai Knights. The Beatles had their wax figures featured along with cardboard cutouts of various famous people in the cover art for Sgt. Pepper's Lonely Hearts Club Band. In Alfred Hitchcock's The 39 Steps, Mr. Hannay tells Pamela that his uncle is featured in Madame Tussaud's murderer section and that one day she will be able to take her grandchildren to Madame Tussaud's to see him. In Elizabeth Bowen's novel The Death of the Heart (1938), Portia and Eddie have tea at Madame Tussaud's and Portia is disappointed that the waitresses are real and not made of wax. Marie Tussaud is mentioned in The Scarlet Pimpernel. Madame Tussauds sculptures are used on the cover of Rick Wakeman's album The Six Wives of Henry VIII. A waxwork of Richard Nixon also appears in the background. Madame Tussauds in Las Vegas was featured in Travel Channel`s Ghost Adventures. In the Parks and Recreation episode "Indianapolis", Leslie Knope mentions the "Misshapen Celebrity Palace", a fictional tourist trap where Madame Tussauds sends their failed wax figures. Madame Tussauds is featured in an Assassin's Creed Unity side mission, where the player is tasked with retrieving the severed heads of which Madame Tussauds was commissioned to make replicas. There is a brief reference to Madame Tussaud's work in the Sherlock Holmes story "The Mazarin Stone." 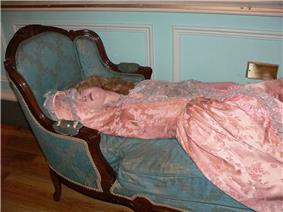 The Sleeping Beauty is the oldest existing figure on display. It was modeled after Madame du Barry. She appears asleep and a device in her chest makes it seem as if she were breathing. ^ Rothstein, Edward (24 August 2007). "Ripley's Believe It or Not – Madame Tussauds". : "Madame Tussaud (who gave the attraction its now-jettisoned apostrophe) ..."
^ Times Online Style Guide – M: "Madame Tussauds (no longer an apostrophe)." ^ Du Plessis, Amelia. 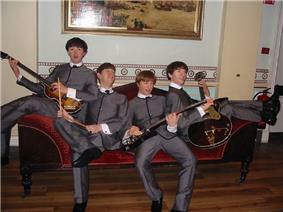 "England – Madame Tussauds". Informational site about England. Retrieved 12 July 2011. ^ "The History of Madame Tussauds". Madame Tussauds.com. ^ Berridge, Kate...But now British actress Emma Watson is already to set and appear here... (2006). Madame Tussaud: A life in wax. New York: HarperCollins. ^ Pilbeam, ibid. pp. 166, 168–9. ^ Pilbeam, ibid. p. 170. 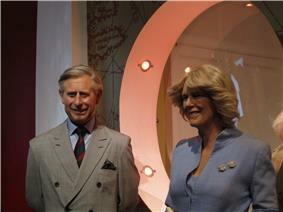 ^ Pamela Pilbeam Madame Tussaud: And the History of Waxworks. P.199. 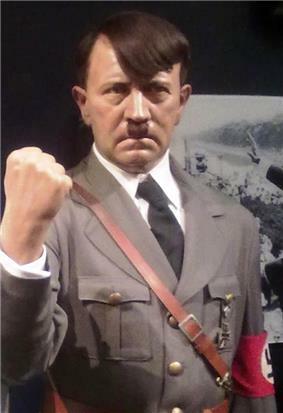 ^ "Adolf Hitler returns to Berlin museum after beheading". www.meeja.com.au. 14 September 2008. Retrieved 14 September 2008. ^ Pilbeam, ibid. p. 199. 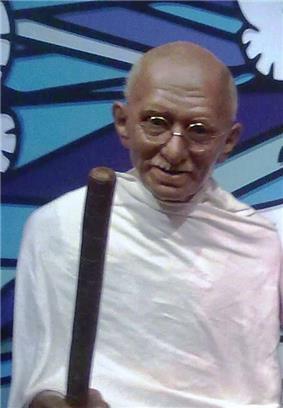 ^ "Madame Tussauds to repair beheaded Hitler". Associated Press. 7 July 2008. Retrieved 7 July 2008. ^ Carrel, Paul (5 July 2008). "Man rips head from Hitler wax figure". ^ "Meltdown (At Madame Tussaud's) – Meltdown – Steve Taylor Discography". Sock Heaven. Retrieved 14 November 2010. ^ Ozzy Osbourne scares people at Madame Tussauds. Retrieved 30 May 2010. Berridge, Kate (2006). Madame Tussaud: A life in wax. New York: HarperCollins. Chapman, Pauline (1984). Madame Tussaud's Chamber of Horrors: Two Hundred Years of Crime. London: Constable. McCallam, David (2002). "Waxing Revolutionary: Reflections on a Raid on a Waxworks at the Outbreak of the French Revolution". French History 16 (2): 153–173. .